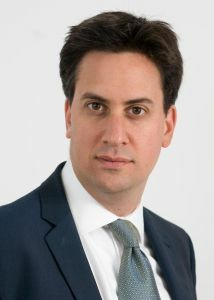 Below is the text of the speech made by Ed Miliband, the Leader of the Opposition, to the National Policy Forum on 16th June 2012 in Birmingham. It’s great to be with you today at our National Policy Forum in Birmingham. Labour, in whom the people of Birmingham placed their trust in May. A Labour council changing the way we do politics with a manifesto built on 12 months of conversations with the people of this city. A Labour council improving our society with 5,000 new homes a year. And a Labour council changing our economy by paying at least £7.20 to every city council worker. And let us recognise the work of every Labour council making a difference in tough times. Liverpool’s new Mayor Joe Anderson and h is council that is building 2,500 homes. Manchester keeping open its Sure Start Centres. And Newham, standing up for tenants against unscrupulous landlords. Labour councils whose examples will inspire our next manifesto. And let us applaud them for their work. 823 seats gained at the council elections. Let us applaud all of the Party members, trade union members, local councillors that made this possible. The British people have given us a platform to be heard once again. It is our job to seize the moment and show how we can change this country. And we know this country needs to change. We know it is crying out for change. A lost generation of young people who cannot find work. We say this waste of talent, this betrayal of hope, this denial of ambition is wrong and we must change it. Families struggling to pay their bills, their living standards squeezed, prices going up and wages frozen. While top directors are seeing their pay going up by 10 per cent again this year alone. We know this is wrong and we must change it. British society divided more and more under this Government. Between the private economy and the public economy. We are not a private economy and a public economy. Between the richest and the rest. When we know we succeed or fail together. This generation of young people who are fearful for the future, in contrast to previous generations who were able to look forward to the future with hope. It’s wrong and we would change it. And we know too we have a politics that doesn’t stand up for the right people. Now some people will see the revelations at the Leveson inquiry as simply a distraction from what matters. Of course it’s not the biggest issue in most people’s lives. But it is a symbol. A symbol for what is wrong with our politics. Not just a media scandal. But a scandal about the way Britain is run. Innocent people paying the price. We all need to learn the lessons. No media organisation should ever be allowed to exercise that amount of power ever again. The Murdoch Empire must be broken up. This Prime Minister cannot be the answer. This is a Prime Minister who sent the texts. He even rode the horse. A Prime Minister who hasn’t learned the lessons. That’s why we have a tainted Prime Minister. Tainted because he stands up for the wrong people. Like Andy Coulson and Jeremy Hunt. Tainted because he does not stand up to the rich and powerful. And I’m not just talking about Rupert Murdoch. Tainted because he cannot be the change this country needs. And he even seems to believe that ‘we’re all in it together,’ means country suppers with Rebekah Brooks. When we say we are all in this together, we are talking about the hard working people of this country. And this Government cannot be the answer for our economy either. Leaders of the most important economies will gather in Mexico this week for the G20. There needs to be a decisive shift towards jobs and growth. That’s also the way to get the deficit down. That’s what I would be arguing for as Prime Minister. It’s right to supply credit to our banks, including our banks. But it doesn’t change the fundamental problem. It’s not working in Britain. That’s why we have a double-dip recession. A recession made in Downing Street. And it’s not working internationally, either. And it’s no good the powerful saying to the powerless: we’re in for a few bad years and there’s nothing we can do about it. Saying there is no alternative to austerity. It’s not they that will suffer. Here in Britain David Cameron says Britain is “headed in the right direction”. Tell that to one million young people out of work. Tell that to the six people chasing every vacancy. Tell that to the people struggling to make ends meet. This crisis is about much more than just the banks. It’s about whose interests are put first this country is run. It’s about an economy closed to the concerns of working people. There is a simple reason why this Government gets it so wrong. They are stuck with an approach to our economy, society and politics that simply does not work anymore. A set of orthodoxies whose time is over, and crumbling before our eyes. The Tories are standing up for the wrong pe ople. Running our country with the wrong ideas. Out of touch and out of date. Like believing the best way to get people back to work is to allow employers to fire people at will. Now I am very conscious of the scale of the crisis our country faces. We cannot carry on where we left off in government. We cannot just make do and mend. The task we face as an Opposition is no ordinary task. Our task will be to rebuild Britain. So that we can rebuild our country to ensure that it works for everyone, and not just a powerful, privileged few. The task of rebuilding we face starts with the recession made in Downing Street. The highest unemployment in a generation. We need real action to get growth moving here at home. Giving incentives to businesse s to take on new workers. Advancing investment in our infrastructure. And putting our young people back to work. Long-term youth unemployment in Birmingham has doubled in the last year alone. I say, we say, tax the bankers bonuses and guarantee jobs for those young people. A Labour government would get our young people working again. So we need immediate action. But we know the problems of our economy haven’t just begun. The economy hasn’t been working for most working people for a long time. We have a vision for our future economy which is different from this government and different from what we have managed to deliver in the past. It starts from simple truths. It starts from Labour values. We know what the good economy looks like. I believe nobody who works should be in poverty. But today in our country we know that millions are. I believe every young person, whether they go to university or not, should have a career. But we know that today in our country, so many young people feel our economy has nothing to offer them. I believe we must be a country that has a culture from our schools to our banks that prides itself on making things once again. But that is still not the culture of Britain today. I believe that the good firm comes with workers, managers, shareholders and customers working together to ensure their success. But we know that the decades of fast buck, take what you can short termism in our economy prevents businesses from doing that. I believe in an economy where reward is related to effort and there is a bond between the highest and lowest paid. But we know that today in our country, people at the top can be paid 100 times, 1000 times more than their lowest paid employee. So we have to seek to build this good economy. And it is all the more important because the next Labour government will face a deficit as result of this government’s failure. We will have to show how we can build social justice even when there is less money around. It’s this different vision of our economy that drives us on. That I want the National Policy Forum to work on in the years ahead. We know the issues we must cover: from skills to housing to how we create a long-term economy. It must be shared mission for our party. We must make it the shared mission for our country. We want an economy that works for working people. And we need a society of which everyone feels a part. I am incredibly proud of the work the last Labour government did. To build and rebuild those great national institutions that we value. And of course, our National Health Service. And those institutions are under threat from this Government. The NHS facing a reorganisation that no-one voted for and nobody wants. And we have led the way in defending the values of the NHS. And we will repeal the Bill so we undo the damage of the free market, free for all that this government is inflicting on our National Health Service. But protecting what we have is not enough. We need to be more ambitious than that. My vision of our society starts with its ethic and character. I believe in an ethic that says there is more to life than the bottom line. I believe in a society that says we owe each other more than just to pay our way. And I believe that the decent society is built on care, compassion and looking out for each other, and not on money, market and exchange. And once we know our ethic we know the society we want to build. A society of shared responsibility, among rich and poor alike. A society that is more equal, where people do not lead lives that never touch each other. A society with public services where everyone feels they are a valued partner, not just a customer or a number on a spreadsheet. That means that those who use services don’t feel talked down to by an unresponsive and distant state. And it means that those who work in public services don’t feel demotivated by central control but are trusted because they know their work and do their all. And the good society is one where we recognise that we hold the environment in trust for future generations. And that we make the decisions so this generation can speak proudly to the next, telling them that we weren’t the last generation who failed to understand climate change, but the first generation to rise to it. 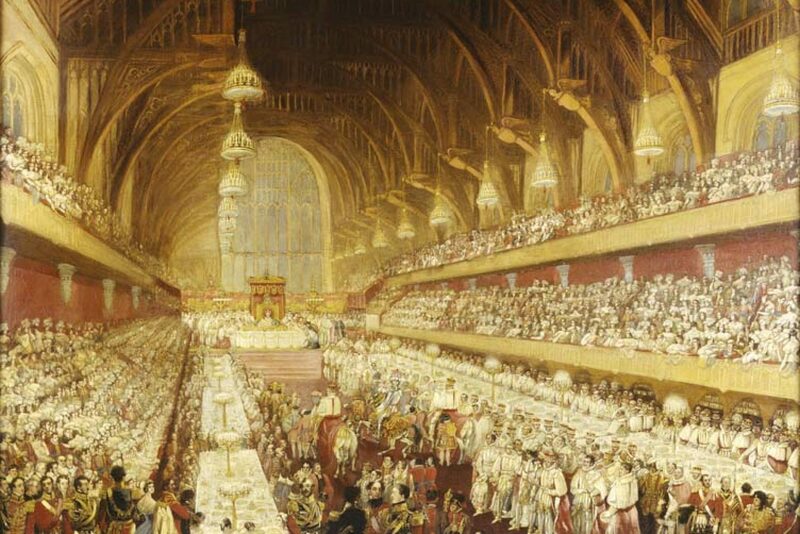 That’s what a rebuilt British society looks like to me. And we, the National Policy Forum, need to start planning today. How our public services will cope according to these principles in an era when there is less money around. How to solve the unmet needs of our communities like care for the elderly. To rebuild our economy so that works for working people once again. To rebuild our society so that it is true to our ethic and our values. And to rebuild our politics so that we can make these changes. After you trudge down the street in the wind and the rain, you know the most depressing thing. It’s depressing enough when people say they’re voting Tory or Lib Dem, although not many people say that these days. People have died in this country for the right to vote. They are dying in other countries for the right to vote. We desperately believe it will make a dif ference to people’s lives to vote, but too many don’t believe us. That’s why politics has to change. It’s our job to change it. And if you want to know how it should be done, just come to Birmingham and see what Caroline Badley, Councillor Caroline Badley, has done. First, she helped mobilise a volunteer army of a thousand people for Gisela Stuart to win her election in Birmingham Edgbaston in 2010. And then she decided to take on the Tories herself. And she won her ward with a majority of more than 1,000 votes because she organised local people and local organisations to fight for the issues that mattered to them. She showed that politics was not just about harvesting votes it was making change in our communities. We need a politics rooted in people’s lives through the work of labour party members, local councillors, and the ordinary men and wo men of our trade unions. The three million trade union levy payers, the most underused asset in British politics. We need a politics which stands up for the many against the interests of the few, however powerful they are. For too long, governments of both parties thought there were interests too big to challenge. And so the public thought we weren’t on their side. We need a politics where the decisions that affect people’s lives are made by people accountable to them. So devolution is right not just for Scotland and Wales but for English local government as well. We need a politics where politicians look like the constituents they represent. That’s why we should not rest until 50 per cent of our MPs are women. That’s why we should not rest until ethnic minorities are properly represented in Parliament and in our party. The skewing of our politics away from working class representation. And I have asked Jon Trickett from our Shadow Cabinet to lead our work on this issue. That’s where I want to take our politics. And we know the areas we must cover: from how our party can be a genuine community organisation in every part of the country to how we devolve power. That is what we need to rebuild our country. These plans to rebuild our politics bring me to my final thought today. People probably ask you sometimes why you joined the Labour Party. People ask me sometimes why I went in to politics. People ask me, is politics just about competent management? Well we certainly would provide more competent management that this omnishambles government. They ask just about waiting for our turn so we can carry on where we left off in government? Our government did make Britain a stronger and fairer place. But what we stand f or must be about much more than competence or carrying on where we left off. The times are too grave, the demands too serious, the crisis too acute for any of that. I learnt it from my parents. Even in times of crisis people could come together to build something new. They knew it because it was the story of their own lives. Jewish refugees who came to Britain. They saw it in the spirit of the British people. The spirit of the British people that we will see during the Olympics. The spirit of the British people that I see in this room today. A country where we look after each other not one where we are left on our own. I know that we can rebuild an economy that works for working people. I know that we can rebuild a society founded on the right values. And I know that we can rebuild our politics so that every voice counts, not just those of a powerful few. That is the platform we have earned. The chance to rebuild our country.